Simply Designed. Highly Beneficial. Community Based. Environmentally Minded. Culturally Aware. The purpose of the project is to encourage local students to explore and learn more about special natural resources in their own backyard through perpetuating Hawaiian cultural values like Mālama Aina. Our hope is that by connecting students to the land & ocean that is a part of their community, they will develop a deeper sense of Aloha for these places and help take responsibility in caring for them into the future. The Maunalua Junior Konohiki program in particular will utilize Paiko Wildlife Sanctuary as a place-based outdoor education classroom for students to become more grounded in Hawaiian cultural values and gain hands on experience in environmental education linked with statewide science & math standards. Rotation will include removal of invasive algae and/or invasive plants within Paiko Sanctuary followed by the planting of native plants under the guidance of DOFAW (Department of Forestry & Wildlife) staff. 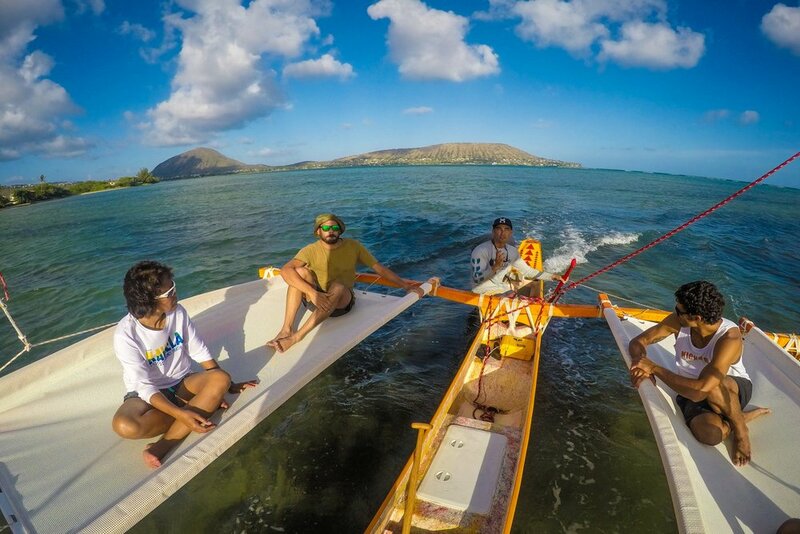 This rotation will be an interactive canoe tour for students to view the entire ahupua’a of Kuliou’ou as well as other ahupua’a’s within Maunalua from the vantage of the ocean looking towards the land. This will allow students to discuss the function of the ahupua’a system and how what happens mauka will affect the entire ecosystem all the way to the sea. Students will be able to use underwater scopes to view the nearshore ecosystem as well as perform a plankton tow while paddling that they will sample and view with cell microscopes upon returning to land. This allows students to understand the life within an ecosystem beyond what can be seen with the naked eye. This rotation will be a hands on monitoring activity where students will have the opportunity to work with water monitoring tools to analyze the water quality in different locations throughout Paiko reserve. 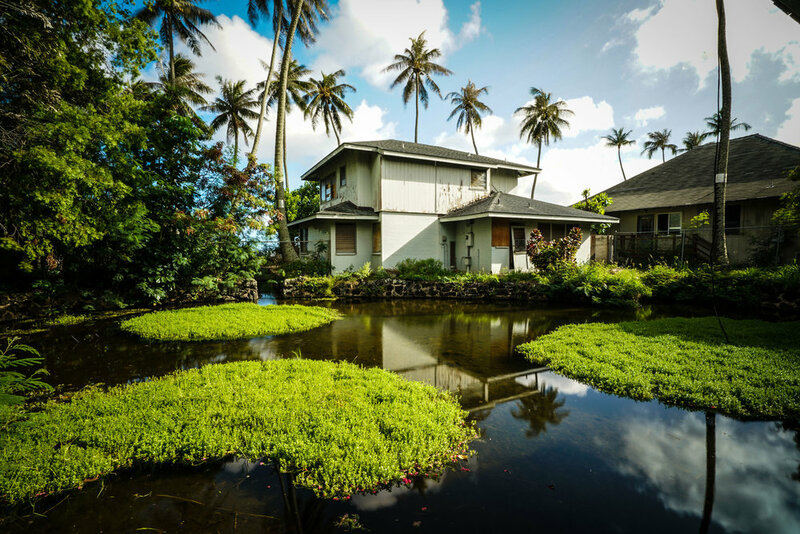 Students will understand the function of a wetland in the Ahupua'a system as a filter for sediment runoff as well as how pollution from an urban environment can affect water quality and coral reef ecosystems. This station will be a fun activity that teaches the students the basics of the Polynesian star compass. Na Ho’okele O Maunalua or the Maunalua Future Navigators program will be an expansion of the existing Maunalua Junior Konohiki Program that currently provides ocean based environmental education field days to the public school students within the Maunalua Bay area. The objective of this youth leadership program will be to give a select group of passionate students a more in-depth understanding of community/resource stewardship through the principles of Polynesian Voyaging. Our goal is to begin educating the next generation to create leaders on the ocean and leaders in the community. Over the course of the program students will have four field day experiences each with a different focus topic and itinerary including watershed hike, fishpond restoration, wildlife sanctuary conservation, and ocean navigation. Na Ho’okele O Maunalua leadership program will be offered to 20 high school students within the Maunalua Bay community. By participating in this program students will gain practical knowledge of the various focus areas through hands on participation and leadership challenges. Field day participants will have the opportunity to connect with community partners and environmental agencies while also gaining more intimate knowledge of the history, culture, and issues in the Maunalua region. The culmination of the field days ends with an objective for the two student groups to develop either a field day or project on their own that benefits the bay/community and would be supported by Huli and the other partner organizations ultimately empowering the students to take ownership of their own natural resources. At Huli, we recognize how important the businesses, non-profits, and grassroots community organizations are in the local community. We aim to get these organizations more involved with the stewardship of Maunalua, collaborating with each other, and overall more aware of the rich history and culture of our home as well as the current challenges we face. In order to accomplish this, we offer field days tailored to these businesses as professional development days where they can come and spend time out in one of Maunalua's last remaining fishponds helping with the restoration work and sailing on our traditional Hawaiian sailing canoe to get a unique vantage of our precious resource.